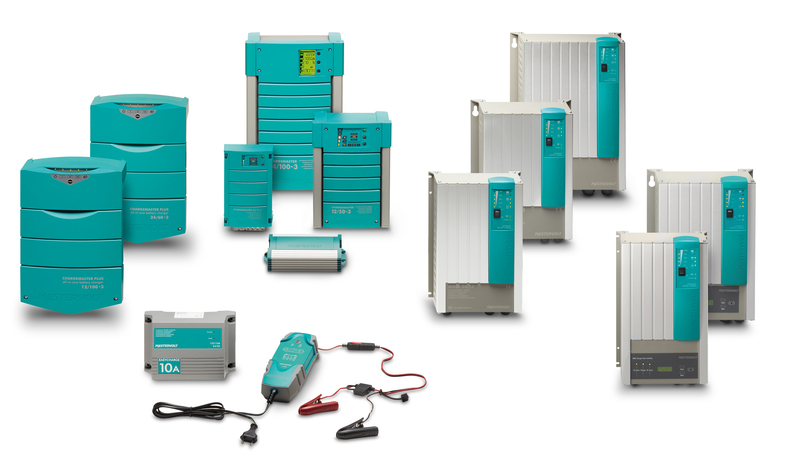 Mass battery chargers are designed for the toughest conditions for professional, semi-professional and recreational purposes. 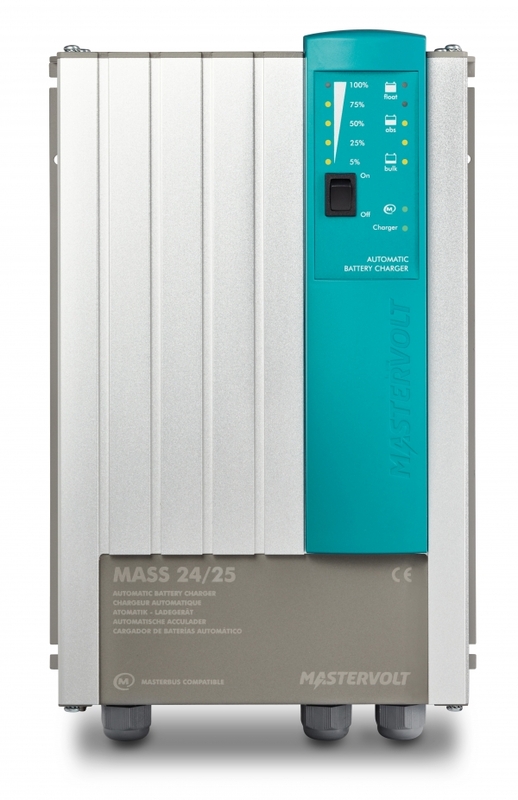 Even under the most extreme conditions the products from the Mass series operate faultlessly, giving you round-the-clock output when necessary. The sustainability and technologies that underpin the Mass concept have long been proven in practice. With an MTBF of 180,000 hours at full capacity and 24/7 use, the Mass products are ideal for the toughest tasks and any situation that requires a reliable power supply. Designed for the most difficult conditions. Lightweight, stainless steel, anodised aluminium casing. Coating of internal components prevents damage from damp or condensation to ensure a longer lifespan. Insensitive to electromagnetic effects from other devices. Suitable for every type of battery, also charges entirely empty batteries. 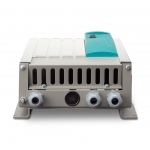 Delivered as standard with temperature sensor. Full power at temperatures of up to 45 ˚C. 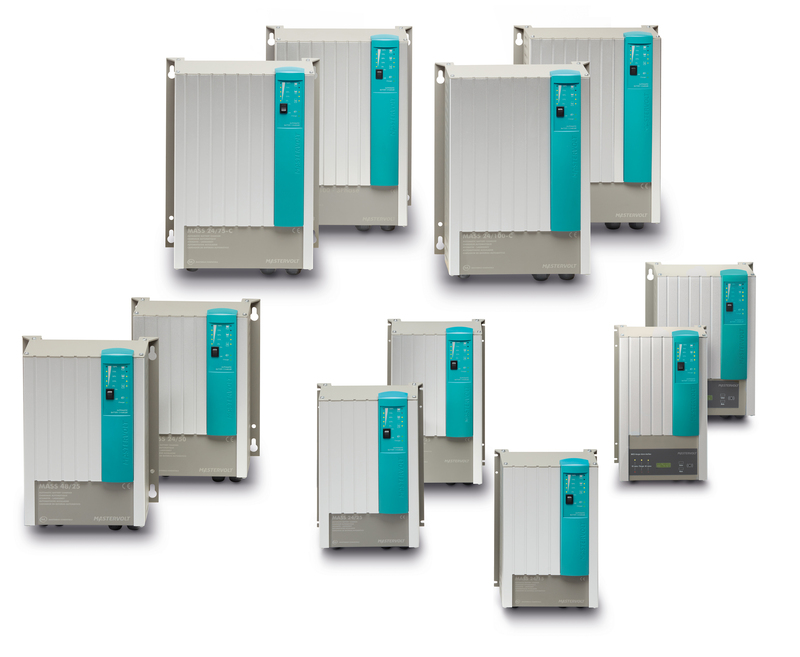 Load capacities from 80 to 1000 Ah or more. 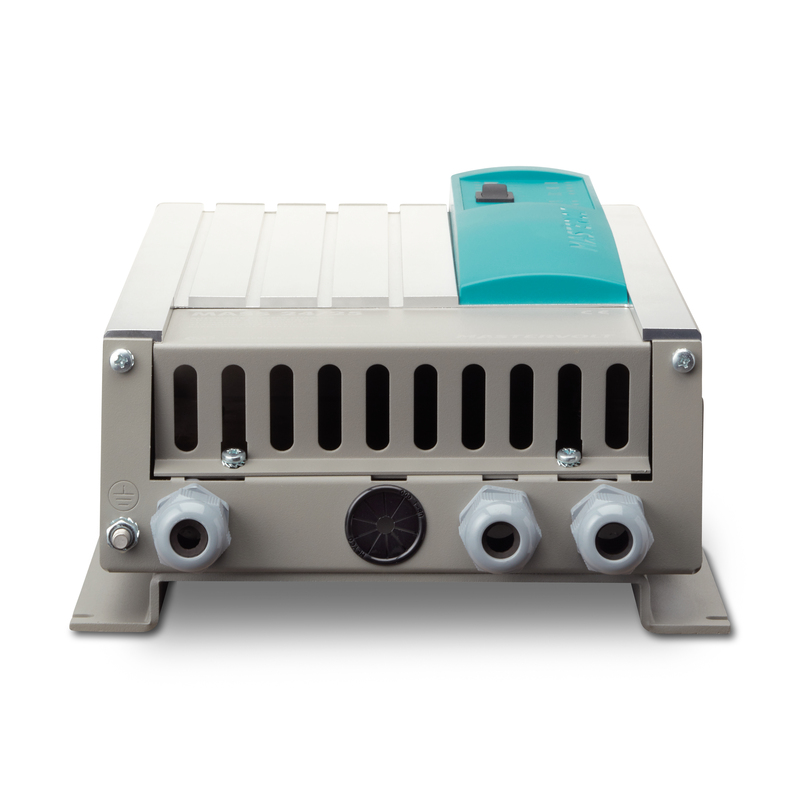 Stable and ripple free 24 and 48 V power supply, even without batteries. 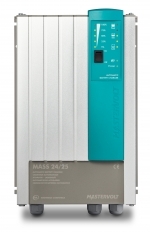 The Current Control function prevents the breakdown of fuses when the voltage drops. Parallel switching possible using multiple battery chargers. Connections in accordance with CE, ABYC A-31 and IEC60945. Certified by RRR, RMRS (does not apply to 24/75 120 V). 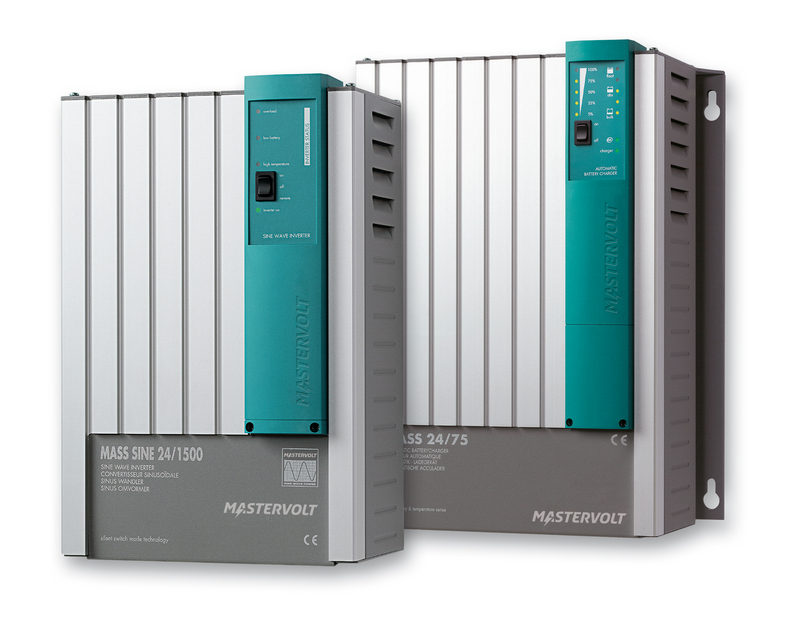 Certified by DNV GL (only 24/25, 24/50, 24/75, 24/75 (120 V), 24/100 models). Certified by Lloyd (only 24/75, 24/100 models). Professional users will benefit from a front display with GMDSS alarm functions GMDSS stands for Global Maritime Distress and Safety System, an internationally agreed-upon set of safety procedures, types of equipment, and communication protocols that is a requirement for the SOLAS (Safety Of Life At Sea) convention and uses DSC and satellite communication. 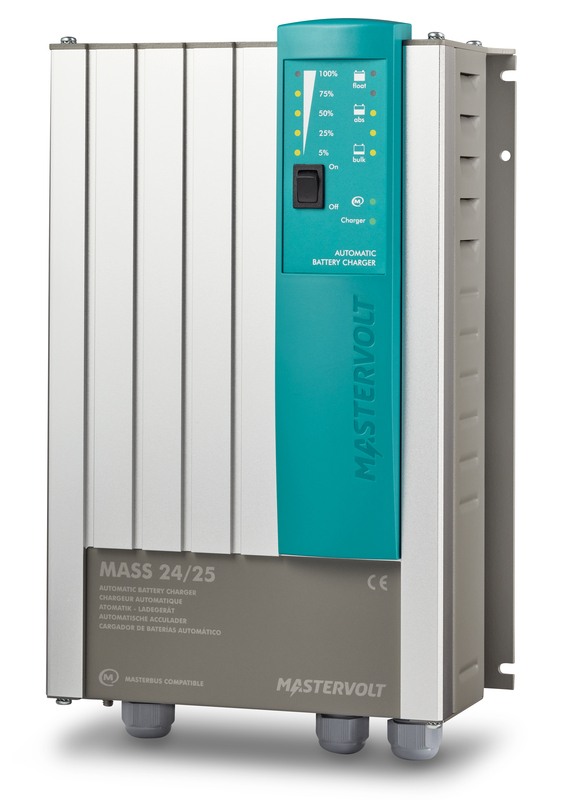 This front display is only available for Mass 24/25-2 DNV, Mass 24/50-2, Mass 24/75, Mass 24/75 (120 V), Mass 24/100 and Mass 24/100-3ph. Although Lithium Ion batteries are increasingly popular, there can be a lack of clarity when it comes to the charging process. 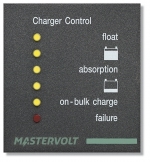 This is not a problem with Mastervolt as the Mastervolt battery chargers communicate directly with the Lithium Ion battery via the integrated MasterBus (or have been adapted to the required charging voltages). Mass battery chargers can be easily connected to a MasterBus network with only one cable and one connection. You can also choose central, local or remote monitoring, configuration and control of your system. 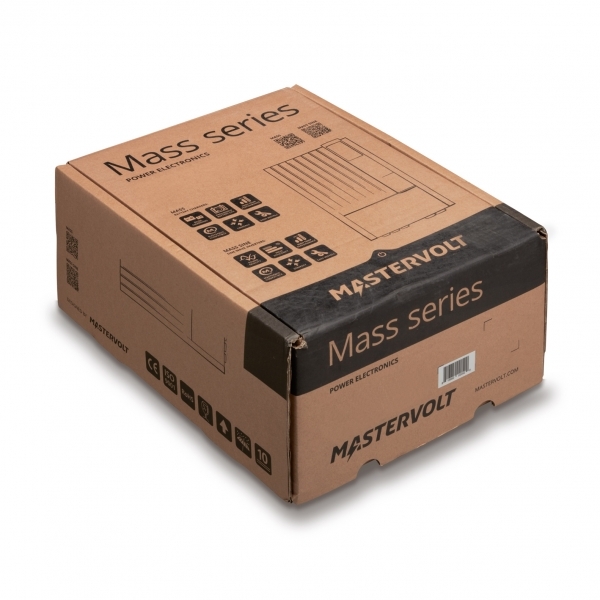 The certified Mass battery chargers are very strong, designed to withstand heavy vibrations and shocks. Their premium quality components meet the highest possible specifications, while the smart and extra robust mounting adds to the professional end result.